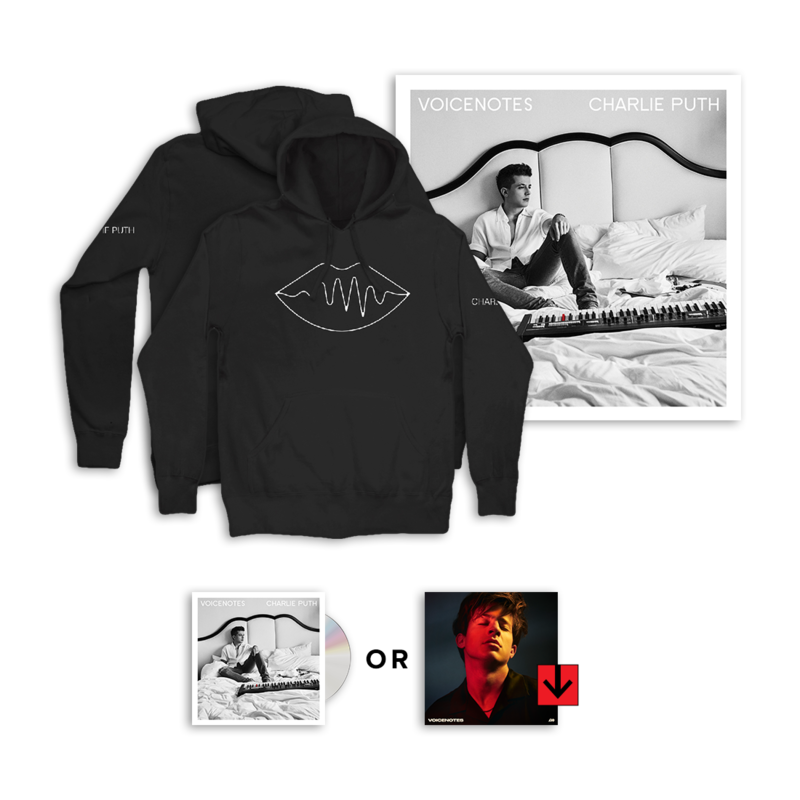 Pre-order VoiceNotes the Deluxe Hoodie Bundle and get downloads of “Attention,” and “How Long” instantly! The VoiceNotes Deluxe Hoodie Bundle here comes with your choice of VoiceNotes on CD or as a digital album. The bundle also includes an 18”x18” print lithograph of the VoiceNotes album cover photo, and an exclusive black pullover hoodie that features Charlie’s logo printed on the sleeve and a “VoiceNotes Lips” design printed on the front featuring Charlie’s logo and name. Hoodie also features a drawstring hood and kangaroo front pocket.